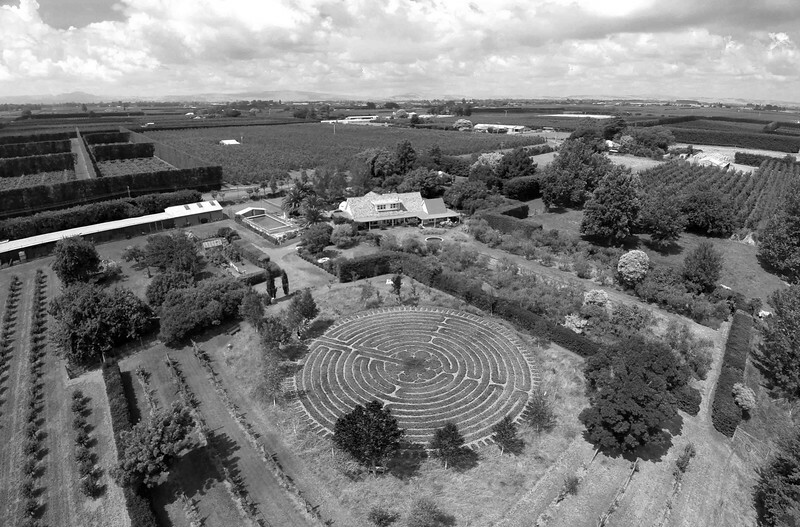 Not only did I shoot this aerial photo of a Labyrinth in Hawkes Bay but I built the Labyrinth too. Many years ago when I was saving for overseas trips and photography gear I worked on my neighbours orchard and farm and one of my jobs was to build a Labyrinth. With my best mate Chris, we dug trenches and filled them with stones over a few week period. That was 10 years ago now and its great to go back home and get some cool aerial shots of it.